The Dubai World Cup is quickly approaching. Many of the world's best are likely entrants for the March 29 Dubai World Cup race card. Here are my thoughts on the Dubai World Cup races. Be sure to follow all the Dubai World Cup coverage on BloodHorse.com with previews, analysis and a live stream of the entire day! As far as handicapping, I have two categories; sentimental picks and just normal picks. My sentimental picks have a shot at winning, but not every horse I pick with sentiment is a horse that has a great chance of hitting the wire; I pick the horse just because I like it! The Picks makes up for those emotional selections and takes into account more traditional handicapping of past performance, pedigree, and travel experience. A story was just posted today with updates on trainers reactions to how their horses are coming into the races! I enjoy watching The Fugue run, but with not much going on in 2014 for her, I have to say I don’t like her chances in this race. I still would place a bet, based on her talent and how much I like her. She's also my wife's sentimental pick, as she likes seeing the girls best the boys. African Story has had two starts at Meydan this year and both in Al Maktoum Challenge prep races. He finished second in his first start of the year, but eighth in his second start. I like how he runs, but maybe he is taking a step back, thus probably won’t bet on him to win. He would be a good pick to round out the bottom of a ticket. It doesn’t hurt that he competed in the 2013 Dubai World Cup either. Akeed Mofeed is a horse I like to win this race. He won at 1 1/8 miles and finished fifth in the Hong Kong Gold Cup with a talented field. His other stakes wins seem to show consistency, so I trust his current form. Though running much in the East at Sha Tin in Hong Kong with minimal travel of late, his talent on the turf will translate to the synthetic. Can I also say Akeed Mofeed’s dam Wonder Why (GER), has a pedigree stacked with proven talent? "No problems from what I hear so far. He seems to be very happy in his new environment," trainer Richard Gibson said of Akeed Mofeed from Hong Kong. "He did fast work at Sha Tin last week and we went out there very fit horse." Hunter’s Light is a proven winner in Dubai, winning two of the Al Maktoum Challenge races last year and finishing fourth in his only start this year in the Al Maktoum Challenge Round 2. A fourth place finish at a place where Hunter’s Light is proven, makes me think the race was a good prep to push into the Dubai World Cup. I would bet Hunter’s Light in exotics and to finish second or third. Remember, he also ran in the 2013 Dubai World Cup. Red Cadeaux is a world traveler. I have to bet on this horse for sentimental reasons, for talent reasons, and for respect. I would like to see such a well-traveled horse with over $6.2 million in lifetime earnings and 42 lifetime starts across England, Australia, France, Hong Kong, Japan, Ireland, Singapore, and the United Arab Emirates get a big win. In my opinion, he deserves it. Red Cadeaux has demonstrated that he prefers racing in England and Ireland, but with a second at Meydan in the 2013 Dubai World, this is his time to improve upon last year’s experience and get the win. Trainer Ed Dunlop's traveling head man, Robin Trevor-Jones, said of Red Cadeaux: "He worked on Saturday and then had an easy day yesterday. He had a normal canter this morning and is his usual self. He is very happy in himself and he loves this surface. 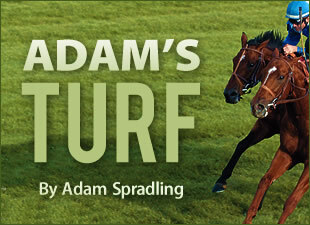 He has been doing 12 furlongs (200 meters) for fun and does love the ground." Ron the Greek has the talent, but a dirt horse on the synthetic amongst turf specialists and past runners with success at Meydan. My opinion is this is a tall order for him, and he'll likely fall short. I would place a wager to show my appreciation of him attempting this race and being born in the USA, but I don't think he is a good fit. If he hits the board, even in fourth, it will still be a nice payday for his new connections. Toast of New York could be a sleeper. I would like to see Shea Shea win this race again. I like Sole Power's chances to hit the board and finish second or third. Capital Attraction is interesting, because he is by Speightstown and his pedigree fits this race. Being a one-mile professional, he has raced exclusively at Meydan this year and has hit the board, with one win, in all of five starts. This to me screams of comfort on the track’s surface. I think few know who Capital Attraction is right now, but he will be a bright spot in this race. Trainer Mike de Kock says this about his contender Soft Falling Rain, "He has really improved a lot from that return to action. Ideally, I would have probably liked one more run but we plan to keep him busy in Europe this summer so we have to strike a balance." My wife has picked Flotilla, she is a sucker for floppy ears. The 2012 Dubai Sheem Classic winner returns in 2014 in Cirrus Des Aigles. Magician had a solid racing year in 2013, including winning the Breeders’ Cup Turf. I think it will be a match between Magician and Cirrus Des Aigles, although I would hope Gentildonna could beat them both. Unfortunately, I think Dunaden has taken a step backward, but would love to be proven wrong. Breeders’ Cup Filly and Mare Turf winner Dank is on a roll and that roll will probably continue in the Dubai Duty Free. Asking her to start in a big race with none under her belt this year is a tall demand, but I think the shoe fits here. Dank’s competition will probably arise from Trade Storm who has ran four times this year, with her last time out being a victory in the Zabeel Mile at Meydan. I am not sure what to make of Vercingetorix. The horse has had two wins, but had some assistance in the Jebel Hatta. I think this horse will hit the board, but might not have enough experience to win. Trainer Mike de Kock seems to think honestly of him. De Kock says, "As for Vercingetorix, we basically do not know how good he is; he is lazy at home and just does enough on the racecourse. He remains unbeaten and always looks like he will win easily, but then almost stops and waits for a challenge." Reynaldothewizard all the way. A favorite while running here in the states and doing very well abroad, I think Reynaldo is my sentimental pick, but is a definite play in this race. He is doing better than Krypton Factor (another sentimental pick), and Zee Bros from the USA, who I am not picking. I close these thoughts with my favorite Dubai World Cup. Also, do you remember when super hyped Casino Drive was a Kentucky Derby contender hailing from Japan? What are your thoughts on the international offerings this year? The 4th round of the Kentucky Derby future wager has been released, what are your thoughts and who would you bet on? Chitu and Midnight Hawk are looking okay, but their pedigree is not encouraging for a 1 1/4 mile distance. I enjoyed reading some of the comments from last week's cover of The Blood-Horse (March 15, 2014). @BloodHorse @catierae08 Mike & Dude, what a pair!